We’d love your help. Let us know what’s wrong with this preview of Economic Restructuring and Social Exclusion by Phillip Brown. 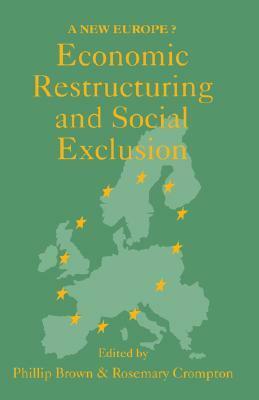 Economic Restructuring and Social Exclusion: A New Europe? This book is intended for undergraduate and postgraduate courses in social structure and political sociology as well as academic sociologists and libraries. It should have significant appeal to researchers and students in European studies and others interested in European integration. To ask other readers questions about Economic Restructuring and Social Exclusion, please sign up.